FOR SALE on CraigsList in Martinsville, Ind. 1,002 miles since modification. Custom scrambler style. $4,800. 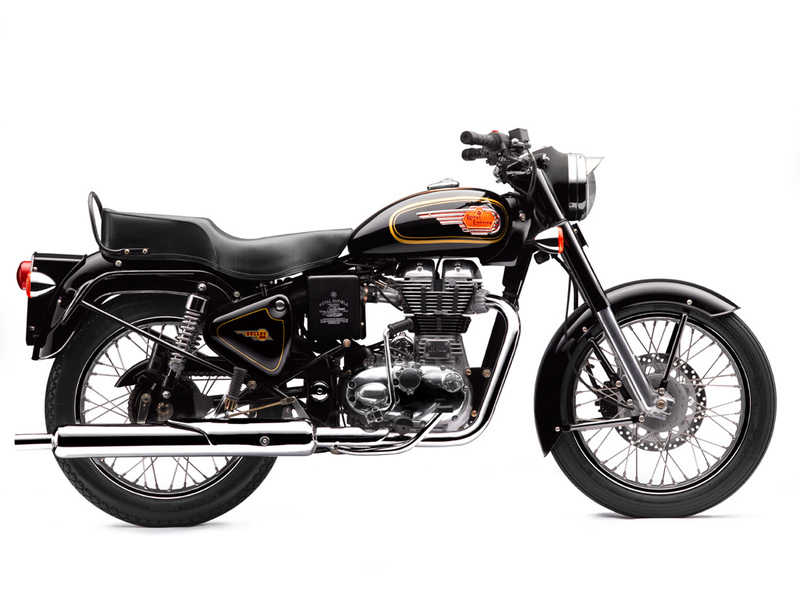 The latest Community Newsletter from Royal Enfield USA contains more information about the two new models due in 2011: the bargain-priced Bullet 500 and the fancy new Classic Chrome. The bottom line seems to be that only limited numbers of each will be available. If you want one, order it now. Royal Enfield Bullet 500 (the B5). According to the newsletter, the Bullet 500 "is an updated version of the original Bullet as sold in a 350cc form in India. This basic bike has been built for over 55 years but was never sold in the export markets. We refer to it internally as the 'Bullet Black' or B5. It is built on the original Bullet frame and has the same new fuel-injected UCE engine and disk brake that the rest of the bikes have. It also sports an old-style metal badge on the tank and the original 19-inch wheels. It is only available in black. "This bike has a very aggressive introductory suggested retail price of $5,495 (California model may be slightly higher). They will be available in March." The newsletter calls the B5 (as it no doubt will be known from now on) "the best value in the motorcycle market today." The Classic Chrome "is built on a C5 platform and features chrome tank, fenders and the oval cover that looks like an air box. It has a brown solo seat (with an accessory matching pillion seat) and has a beautiful red stripe with pin striping down the middle. It is very reminiscent of the Interceptor," the newsletter says. "It will not be available until April at the earliest. Because of the beautiful handmade chrome tank it is a very difficult bike to build and will also only be available in limited quantities as a special order type bike. We will be offering each dealer an allocation of these bikes." 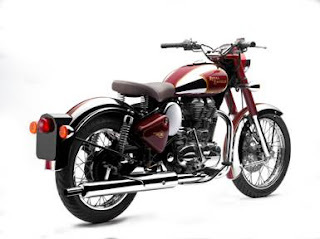 The newsletter notes that Royal Enfield is still cleaning up the 2010 model year. The 2011 bikes will have a price increase between $100 and $200 so now is the time to buy. 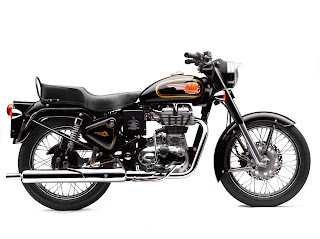 Until the end of March, Royal Enfield is offering $150 in free accessories to all purchasers of a 2009-2010 model, at participating dealers.